Subaru continues to earn awards year after year for quality and value, so it only makes sense to maintain this level of engineering with genuine OEM Subaru parts. We are proud to provide you with a comprehensive inventory of genuine Subaru parts and accessories in our Parts Department at Kearny Mesa Subaru. Whether you are looking for parts to take care of that brake job this weekend, or you are about to embark upon a more involved project requiring a genuine Subaru short block, we have what you need. The genuine Subaru parts that we offer are the same that the engineers designed for your Subaru when it went through the assembly line, so there is no question that they are of the highest quality and dependability. Place your OEM Subaru parts order easily right here online or stop by our convenient location near National City, CA. When it comes to the right parts and accessories for your Subaru, there is no beating the genuine Subaru parts at Kearny Mesa Subaru. Kearny Mesa Subaru is just minutes away from anywhere in San Diego, and we can't wait to show you the difference that having your vehicle serviced by us can make. Our Subaru Parts Department is always well-stocked with the genuine OEM Subaru parts & accessories you need for maintenance, repair, and improvement. 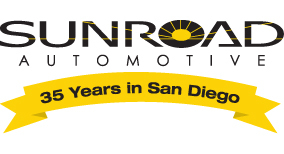 You can speak directly with one of our knowledgeable Subaru parts professionals by calling (866) 983-­0813 or, simply stop by our convenient location at 4797 Convoy St, San Diego, CA 92111 where the drive from El Cajon, CA is certain to save you time and money. We're proud to have been recognized as the #1 Subaru Parts Department in Southern California. Be sure to check out our frequently updated Parts specials to see how you can save even more. We also carry a wide range of genuine Subaru accessories, and this is just the beginning of the benefits that come with a visit to Kearny Mesa Subaru, serving Carlsbad and Escondido, CA.